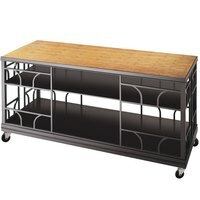 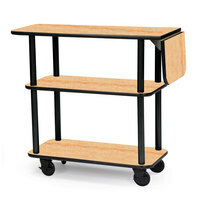 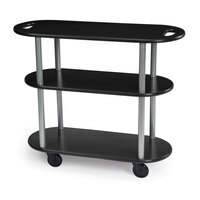 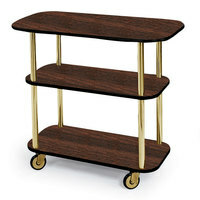 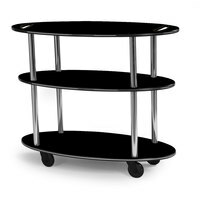 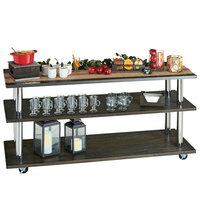 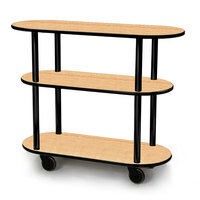 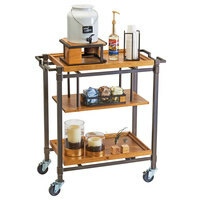 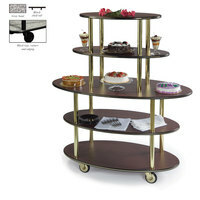 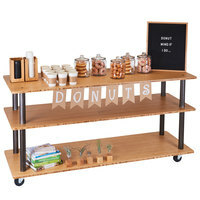 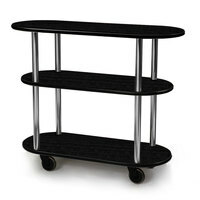 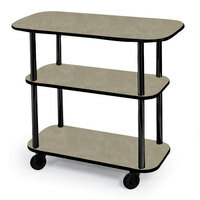 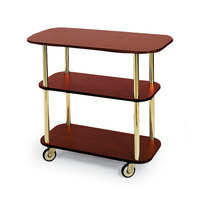 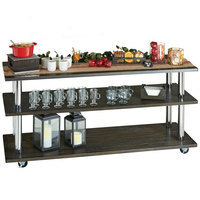 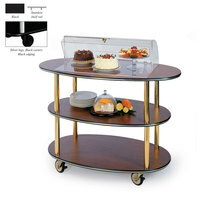 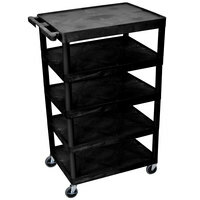 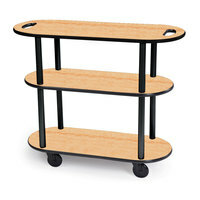 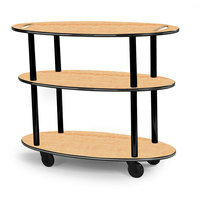 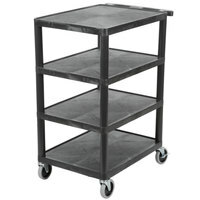 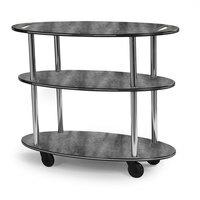 Luxor BC45-B Black 4 Shelf Serving Cart - 18" x 24" x 39"
plus Luxor BC55-B Black 5 Shelf Serving Cart - 24" x 32" x 49"
Luxor BC45-G Gray 4 Shelf Serving Cart - 18" x 24" x 39"
Geneva 36100 Rectangular 3 Shelf Laminate Tableside Service Cart with Amber Maple Finish - 16" x 42 3/8" x 35 1/4"
Geneva 37212 5 Oval Shelf Dessert Cart with Maple Finish - 24" x 50" x 56"
Geneva 36100 Rectangular 3 Shelf Laminate Tableside Service Cart with Red Maple Finish - 16" x 42 3/8" x 35 1/4"
Geneva 36200 Oval 3 Shelf Laminate Table Side Service Cart with Ebony Wood Finish - 16" x 42 3/8" x 35 1/4"
Geneva 36100 Rectangular 3 Shelf Laminate Tableside Service Cart with Victorian Cherry Finish - 16" x 42 3/8" x 35 1/4"
Geneva 36200 Oval 3 Shelf Laminate Table Side Service Cart with Red Maple Finish - 16" x 42 3/8" x 35 1/4"
Geneva 36303 3 Oval Shelf Table Side Service Cart with Acrylic Roll Top Dome and Mahogany Finish - 23" x 44" x 44 1/4"
Geneva 36200 Oval 3 Shelf Laminate Table Side Service Cart with Gray Sand Finish - 16" x 42 3/8" x 35 1/4"
Geneva 36303 3 Oval Shelf Table Side Service Cart with Acrylic Roll Top Dome and Red Maple Finish - 23" x 44" x 44 1/4"
Geneva 36200 Oval 3 Shelf Laminate Table Side Service Cart with Victorian Cherry Finish - 16" x 42 3/8" x 35 1/4"
Geneva 36100 Rectangular 3 Shelf Laminate Tableside Service Cart with Pewter Brush Finish - 16" x 42 3/8" x 35 1/4"
Geneva 36303 3 Oval Shelf Table Side Service Cart with Acrylic Roll Top Dome and Amber Maple Finish - 23" x 44" x 44 1/4"
Geneva 37212 5 Oval Shelf Dessert Cart with Amber Maple Finish - 24" x 50" x 56"
Geneva 36303 3 Oval Shelf Table Side Service Cart with Acrylic Roll Top Dome and Black Finish - 23" x 44" x 44 1/4"
Geneva 36200 Oval 3 Shelf Laminate Table Side Service Cart with Maple Finish - 16" x 42 3/8" x 35 1/4"
Geneva 36100 Rectangular 3 Shelf Laminate Tableside Service Cart with Ebony Wood Finish - 16" x 42 3/8" x 35 1/4"
Geneva 37212 5 Oval Shelf Dessert Cart with Beige Suede Finish - 24" x 50" x 56"
Functional, versatile, and portable, rolling serving carts are useful for staff in restaurants, hotels, catering businesses, hospitals, cafeterias, and more. 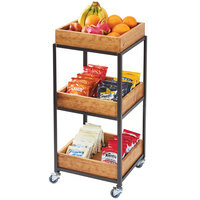 Our portable serving carts offer a variety of shelves and storage compartments for easy transportation of food and beverages, dishes, or trays. 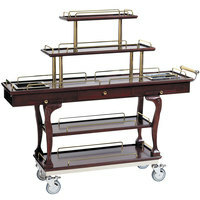 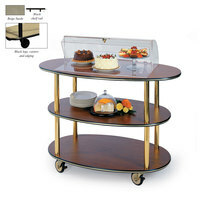 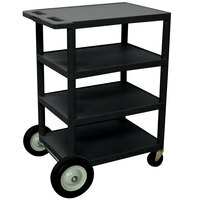 With rolling serving carts, your staff can move more items simultaneously, saving them time for other important tasks. 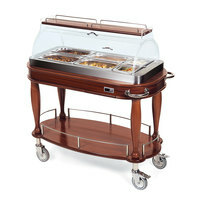 Choose from plastic, stainless steel, wood, or other materials to achieve the exact look and function you want. 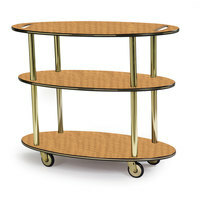 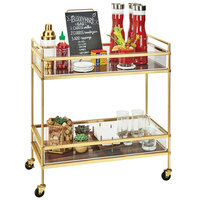 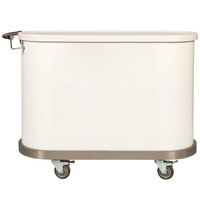 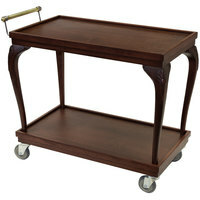 Our rolling serving carts come with handles for convenient transportation or without handles for a sleek, polished look. Whether you're serving patients in a hospital or guests at a country club, we have a design to match your style and fit your serving needs.